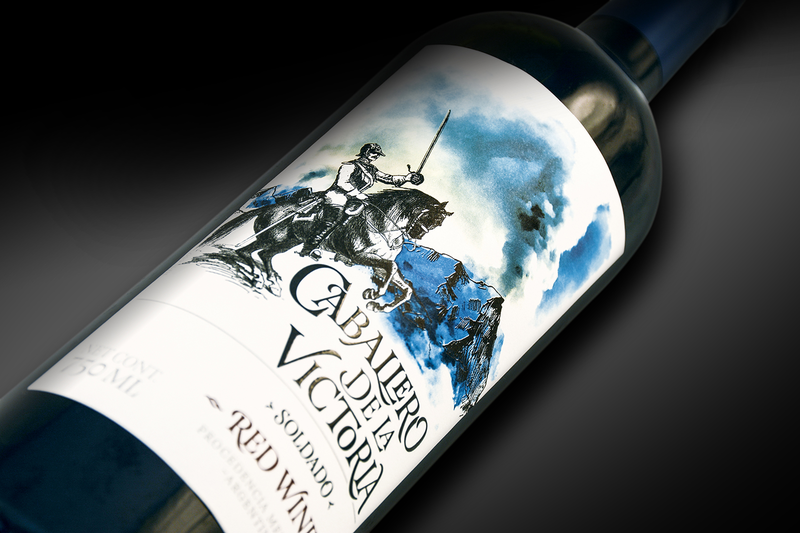 Redesign of labels for the wine line Red Wine Caballero de la Victoria. 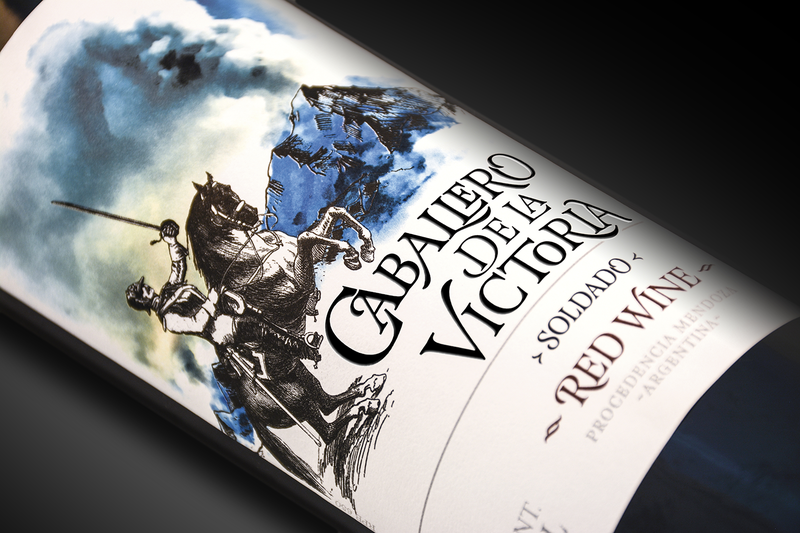 The result should allow the Argentine flag to be highlighted implicitly, renewing the knight's illustration making it more pertinent to Argentine soldiers. 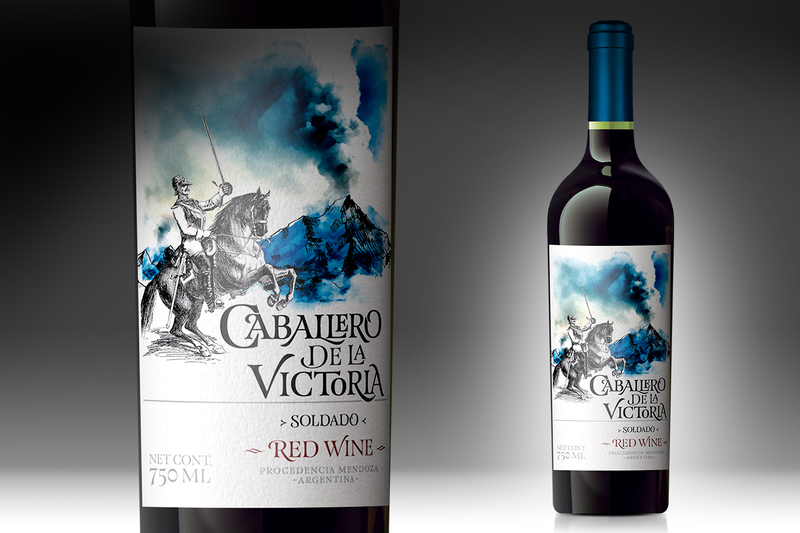 That is why we illustrate evoking the mythical crossing of the Andes of General San Martin with a soldier on horseback and the mountains behind, in this way we managed to tell a piece of history in this new label for the Asian market.